Since the past couple of weeks, information and images of the iPhone 7 have been leaking out more frequently, and it seems Apple is having a hard time keeping things under wraps. As for the iPhone 7, we are well aware of the design and appearance of the device, thanks to the previously leaked design schematics and CAD renders. Well today, we have got two new images for you along with some new details. Weibo, the Chinese microblogging site, is a popular of leaks (of which most are fake), and some new images of the iPhone 7 have leaked out today. 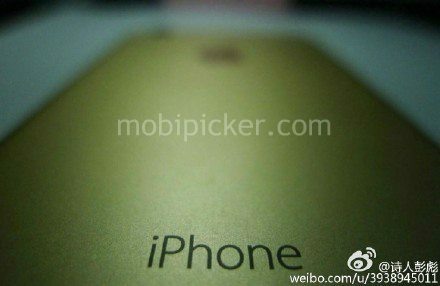 The new leaked pictures show the gold variant of the iPhone 7 from the rear side. As you can see, in the image above, the antenna bands have really been moved closer to the top and bottom edges of the device. Also, there seems to be a laser autofocus module too between the camera and the LED flash. The camera lens seems to have a metal ring around it projecting outside, which might mean that Apple hasn’t been able to remove the camera bump completely, though some improvements are obviously expected. Then there’s the usual Apple logo and the iPhone branding on the back. As we mentioned earlier, most of the leaks come from Weibo but not all of them are genuine. Similarly, these new images somewhat match with the previous leaks but still seem to be fake, though we cannot confirm it yet. 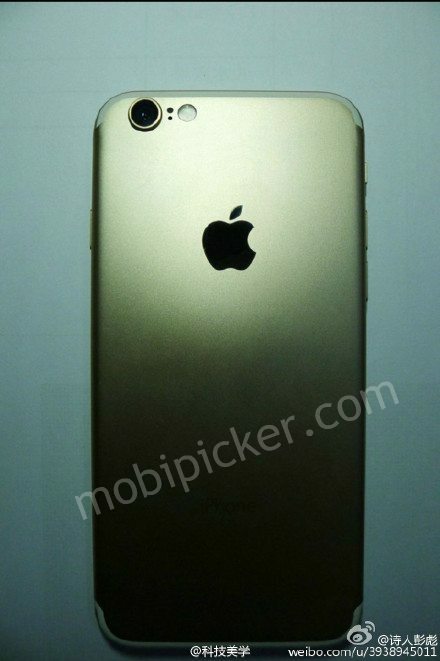 Also, it is being said that the new iPhone 7 might also come in a black color, which we seriously doubt. There will be no headphone jack, and it is possible that the device might be waterproof.